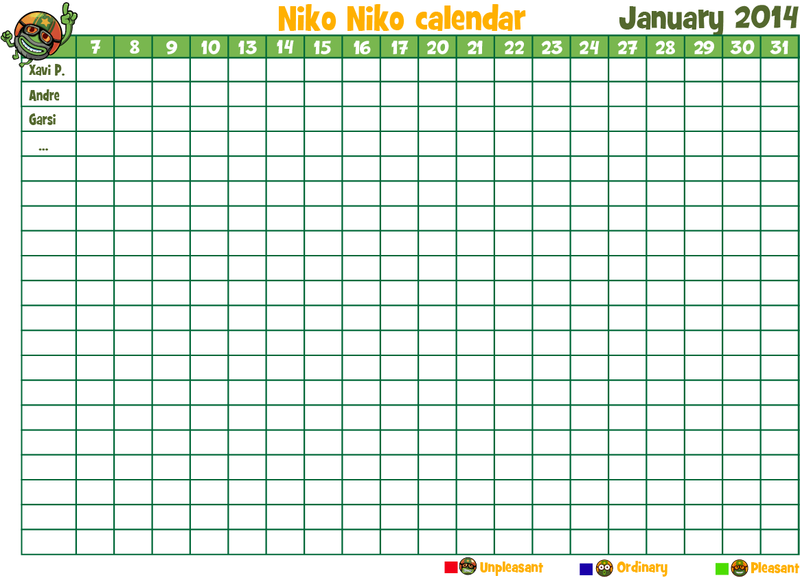 Recently, As part of the Coaching project Agilar is doing at King.com , we introduced the usage of niko-niko calendars to offer awareness of the team’s mood. As usual, it’s being a very useful tool for everyone to understand in a glance how things are going, and help sharing the responsibility of improving the team’s mood. The art team in Papa Pear Saga prepared a special version of the original niko-niko calendar .